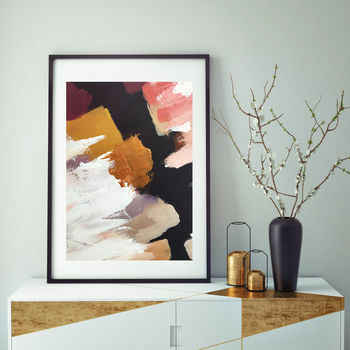 A Colourful Gold And Pink Modern Abstract Print From An Original Painting By British Artist Omar Obaid. 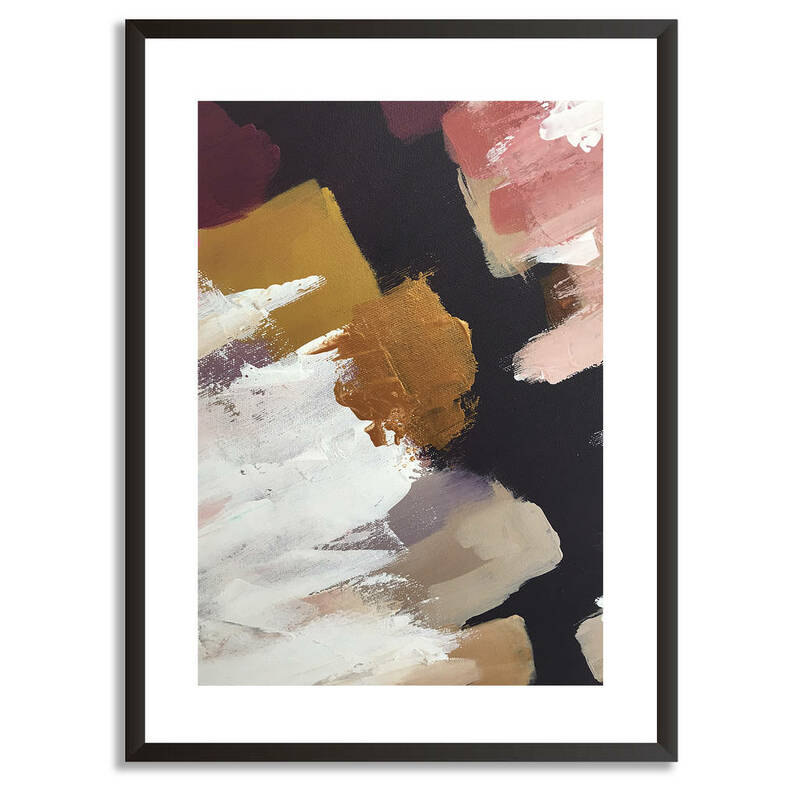 A beautiful, modern abstract art print in a mixed colour palette of blues, white, yellow and more. 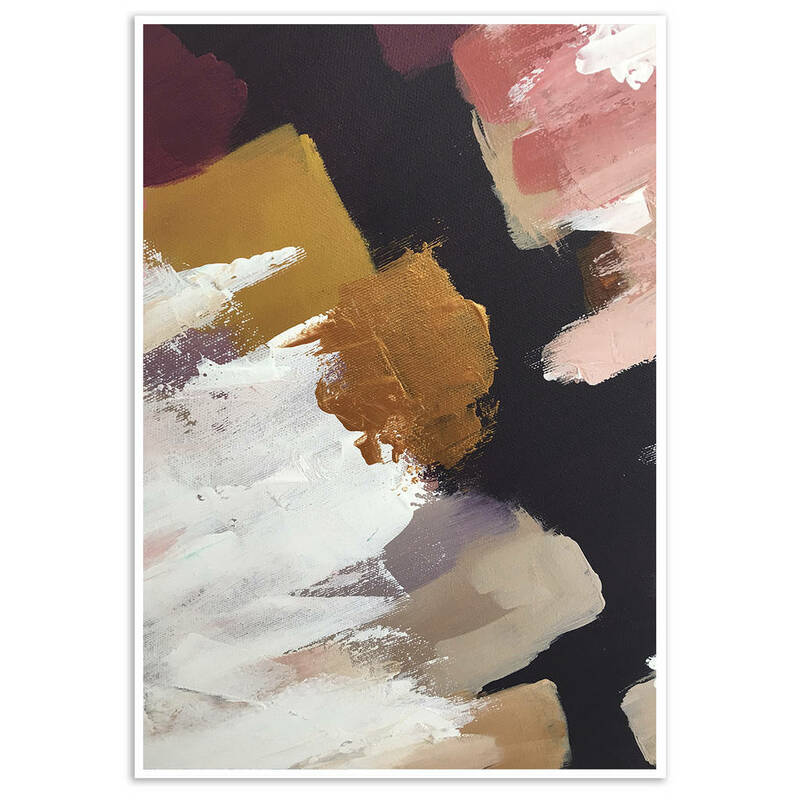 This fine art abstract print would look ideal in a living room, bedroom or dining room and would create a statement in your home. This is a giclée reproduction print of an original abstract acrylic painting by Omar Obaid. The print comes in A5, A4, A3 or A2 sizes. Framing option is also available. The frame is a black wooden frame with a white mount and hooks on the back for easy hanging on the wall. Professionally printed on premium fine art paper 210 gsm with a matte finish. This luxury paper has an outstanding colour reproduction with excellent fade resistance, and you can be confident your print will last for a lifetime.